It’s easy to shrug off a few dings on your car, but the touchscreen you’re staring at all day long? To some, a scratch on their smartphone is like being personally wounded, and it’s spawned an entire sub-industry selling cases and protectors for babying your gear. But what if the next time your smartphone got scratched all it needed was a little heat to look as good as new again? Researchers from the Leibniz Institute for New Materials in Saarbrücken, Germany, and from the nearby Saarland University, turned to corn starch to help develop a new lacquer coating that can bounce back from minor damage. The corn starch was used to create cyclodextrins which are important because of the molecule’s closed ring-structure. That characteristic allows them to be strung onto long-chain polymer molecules, like threading popcorn onto string so your Christmas tree looks like it was decorated in the 1800s. This results in the creation of a polyrotaxane; a complex molecule made of chains and rings that can slide up and down its length, but they can never fall off thanks to stopper molecules attached at each end. Another chemical reaction is used to connect several of these chains together which results in a network of molecules that can stretch and flex like an elastic fabric. It can be applied like a paint or a lacquer to add another layer of protection to irregular surfaces, but the material goes one step further. When heat is applied, those cyclodextrin rings move and migrate along their polymer chains, filling in any gaps created by a scratch along the way. The first samples of the coating could self-repair after being treated with heat for a few hours, but as the researchers started to add other ingredients to make the lacquer stand up to weathering and other wear and tear, they eventually found they were able to radically speed up the time it needed to heal. In its current form, scratches will disappear after being exposed to temperatures of 100 degrees Celsius in just one minute. So why can’t you spray your iPhone with this remarkable material and never have to worry about accidentally pocketing it with a set of keys? The researchers are still working on ways to scale up production, as currently only small amounts have been created in the laboratory. 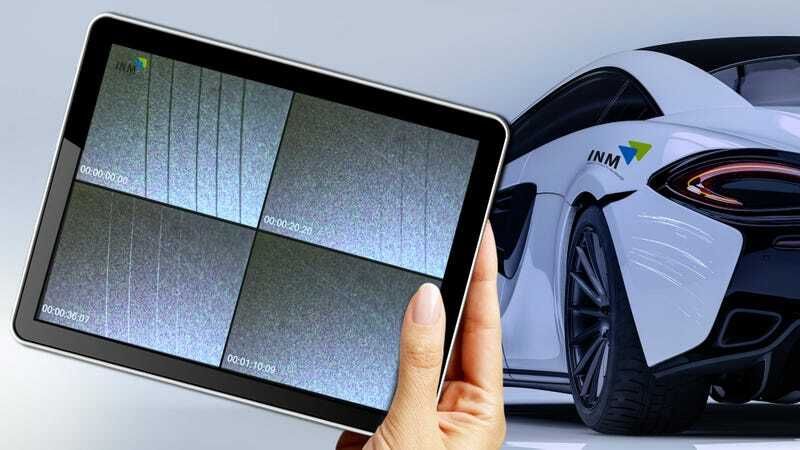 Applying it to cars will be straightforward—the coating could be incorporated right into the paint itself at the factory—and presumably the same goes for the plastic polymers used to make screen protectors, assuming the added layer doesn’t reduce the visibility of a screen or hinder a smartphone’s ability to detect fingers. But the application is only half the problem. The 100 degrees Celsius needed to trigger the self-healing effects is about twice as hot as the air blasts from your average hair dryer, and tossing your phone into an oven that hot, even for just a minute, would be catastrophic for all the electronics inside. You could take a heat gun to a car, but another solution would need to be devised for more sensitive electronics.